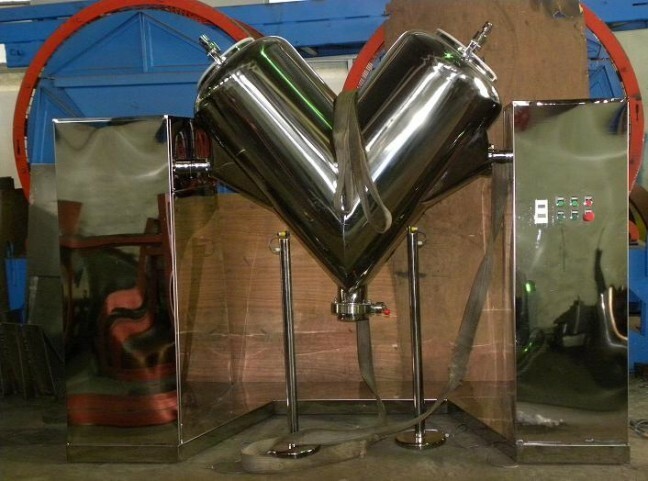 New 6 Cu Ft Working Capacity Stainless Steel Twin Shell Mixer with Intensifier Bar. The shell and frame are constructed of 304 Stainless Steel. Includes Safety Sensor Gates. Specifications: Mixer Capacity: 300 liters. Total Mixing Volume: 180 Litres, Maximum Mixing Weight per Mixer: 125 Kg. 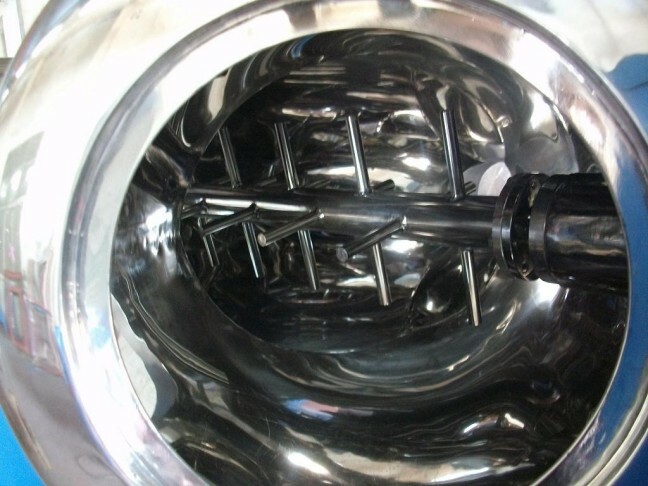 Single rotation speed: 12 rpm, mirror polished 304 S/S mixing vessel & housing. Weight: 550 Kg or 1200 pounds. Overall Dimensions: 84”L x 30”W x 70”H. Electrics: Total power is 1.1kw(mixing motor)+1.5kw(cone rotate power) =2.6KW, 3Ph/60Hz/220Volts. Delivery Time: approx 8 weeks from receipt of 65% deposit.